Major Kate Philp, a former Royal Artillery officer was the first British female soldier in recent operations to lose a limb in combat. Kate lost her left leg below the knee in 2008 when the Warrior that she was commanding in Afghanistan ran over a 50kg Taliban bomb. 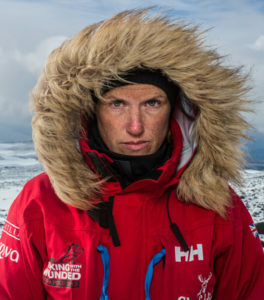 In December 2013, she joined the Walking With The Wounded team to take on the South Pole Allied Challenge. Three teams of wounded service personnel raced 335km on skis. On Friday 13th December, along with HRH Prince Harry, Kate and the teams arrived at the South Pole; a monumental day for all involved. She continued serving in the Army until August 2015. Kate has now started her own leadership consultancy, which offers training, coaching and speaking services to organisations and individuals in both the public and private sector.